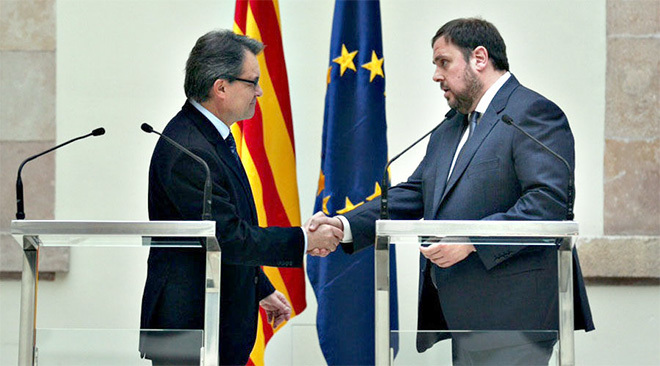 Over the last 30 years, a large part of Catalan society has fully committed itself to transforming the Spanish state so that Catalonia could fit in well without having to renounce its legitimate national aspirations, its determination for self government, and its continuity as a nation. But Catalonia’s attempts to fit into the Spanish state, thanks to Spain’s consistent and reiterated negative responses are, today, a dead end. It is for that reason that CiU and ERC believe that Catalonia must begin a new era based on the right to self determination in order to guarantee social progress, economic development, a strengthening of the democratic process, and the promotion of our native culture and language. 1. 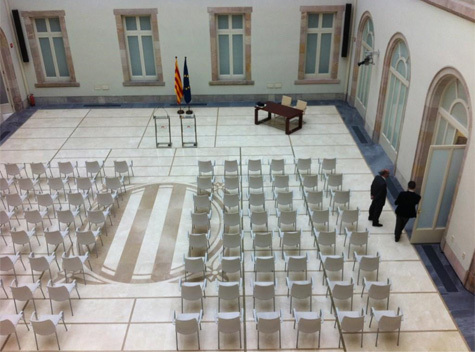 To formulate a “Declaration of Sovereignty of the People of Catalonia” in the First Session of the 10th legislature [the current one just constituted on 17 Dec], that will have as its goal to establish the commitment of the Parliament with respect to exercising the right of self determination of the People of Catalonia.